STRUMIS mobile tailored options give you easy access to STRUMIS from anywhere, on any type of device, with the best solution to suit your specific needs. You can access STRUMIS from your smartphone, tablet, laptop, or your home computer. "Clients have been successfully using STRUMIS through mobile interfaces using our webservice(s) for nearly a decade. STRUMIS information is instantly accessible wherever they need it. Plus our clients have the peace of mind that their business data is protected and always securely stored centrally on their own system." Console uses a mobile friendly touch screen interface; which adjusts the display automatically to fit your device. Console allows STRUMIS users to update the fabrication status of items, record timesheets, review drawings and access critical reports. 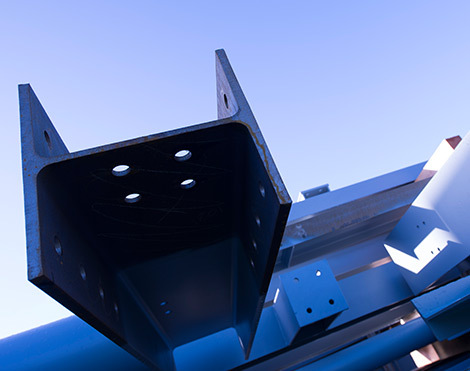 Console keeps clients updated on site, by viewing status information in real-time; external project stakeholders can be given limited access to specific contracts, projects and jobs. The STRUMIS Scan App quickly and accurately collects, in situ, critical assemblies' production data, piece tracking and contract hours. Usable on and off line; synchronising with STRUMIS, it provides the ability to update all users in real time. Time saving and ideal for use on site. 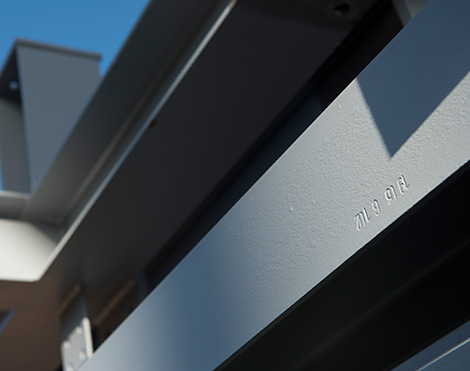 Without the need of any network connection, Barcoding Scanners quickly and accurately batch collect, in situ, critical production data, piece tracking and contract hours. Time saving and ideal for use on site, the information is then uploaded instantly into STRUMIS when convenient. RF Barcodes are scanned to enter, track and trace assemblies with a live information link to STRUMIS; this can even be done from your Smartphone! STRUMIS instantly updates all users in real time - be they back at base, or on site. Having installed STRUMIS on your portable device, simply access STRUMIS using your XML webservice, to view and update live information in the full STRUMIS database through your browser. Your data interacts with the STRUMIS database, so updates are instantaneous, whilst the data is always maintained in your STRUMIS database. Gives you - and (with granular permissions) other project stakeholders - instant access to STRUMIS data from virtually any location. Access your in situ STRUMIS workstation from any device by third party remote control, desktop sharing, such as Microsoft Client. There's no need to have STRUMIS installed on your portable device as it's the in situ workstation that is doing the work. For data integrity, information is securely stored only in the STRUMIS system. You can be anywhere in the world - and It's just like you're sitting in front of your STRUMIS workstation. Simply install STRUMIS on your preferred portable device to access STRUMIS remotely; set up by your administrator, you'll access your organisation's network and full service STRUMIS for complete communication within organisation - wherever you may be. 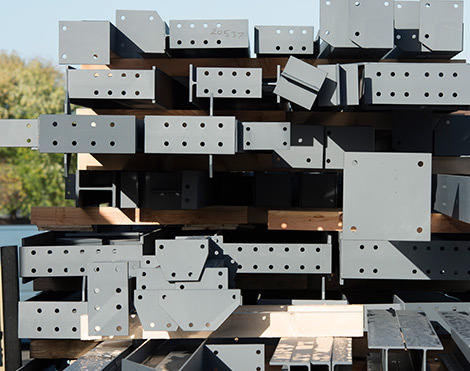 Wherever you are, whatever your steel fabrication needs, STRUMIS offers you the best solution to connect your business resources, reducing time, cost and wastage for greater efficiencies, traceability and productivity. Accesses and updates production information without consuming a STRUMIS licence. 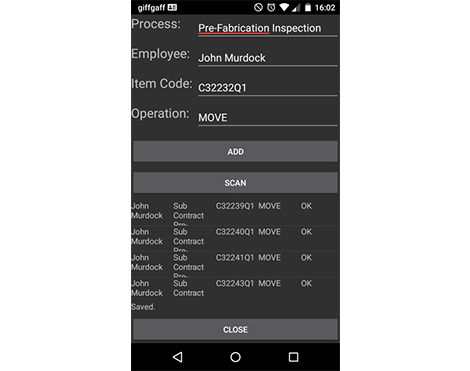 Collates and tracks barcode information (piece, person, process) in real time. 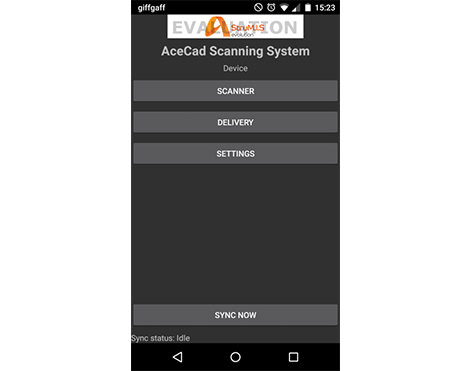 App that collates and tracks barcode information, synchronising with STRUMIS to maintain real time information. Tracking- anywhere in real time. Instantly provides you - and (with granular permissions) other project stakeholders - instant access to STRUMIS data from virtually any location. For security and data integrity, provides access to STRUMIS and other network folders. Gives secure access to STRUMIS from any internet access device - doesn't need STRUMIS installed.